Ford is adjusting its summer manufacturing schedule to accommodate for increasing demand, opting to squeeze an extra 40,000 units out of select North American assembly plants by reducing the standard two-week summer shutdown to one week. The affected facilities are as follows: Buffalo Stamping, Chicago Stamping, Dearborn Consolidated, Kansas City Stamping, Livonia Transmission, Rawsonville Transmission, Sharonville Transmission, Sterling Axle, and Woodhaven Stamping. 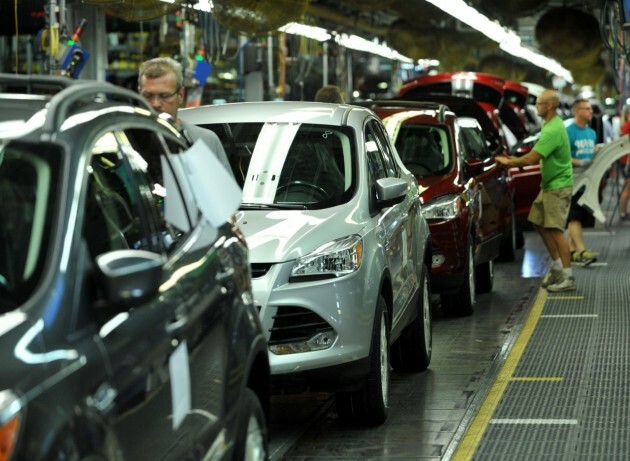 Whereas most North American facilities will shut down between June 29th and July 10th this year, these nine plants will only shut down for the week of June 29th in order to increase production of four of Ford’s most popular models—Edge, Escape, Explorer, and F-150. This marks the third consecutive year that Ford has truncated the usual summer shutdown in order to meet consumer demand.